It may be something nerve-inducing when it comes to changing your hair look dramatically, especially when you are thinking about making a big change to the style or the color. Cutting off a large amount of hair takes even a few seconds, while going from short to long hair can take years. Although a plenty of sites online are accessible for “trying on” new hair colors and styles, fact proves that only having your hair dyed and cut can show you whether the new style suits you or not. Therefore, not many women dare to make dramatic changes to their hair. Except for going ahead and making the real cut, there is a perfect way for you to make a big change to your hairstyle and hair color with causing no damage to your natural hair. By wearing a wig, you can get your desired hair look. Of course, if you do not like how it looks on your head, simply take it off. Basically, there are two types of wigs, synthetic wigs and human hair wigs. The former one is much cheaper, and you can use it as a hairstyle sample to check whether you like the style or not. There are two options for you to select if you like the look. First, buy a quality human hair wig. By means of wearing a quality human hair wig, you do nothing to your own hair and you can change your hair look at will. Second, you can simply visit a salon and have your hair styled. Just like what I have mentioned above, the price of synthetic wigs are much lower. Therefore, if you fancy of changing hairdos frequently but you are unwilling to style your own hair constantly, quality synthetic wigs may meet your requirement. With the development of wig industry, synthetic wigs can look completely natural, but they are much cheaper than human hair wigs. Therefore, you can collect a wide range of different hair looks that you like and enjoy it all over the year. 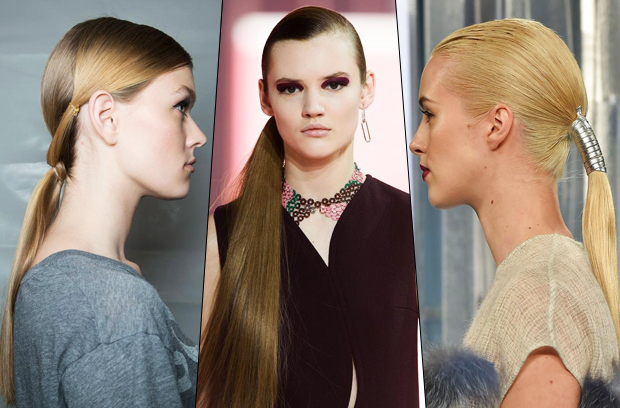 Sleek Low Ponytail–A frequent hair look on runway, no exception for 2015 Fall. 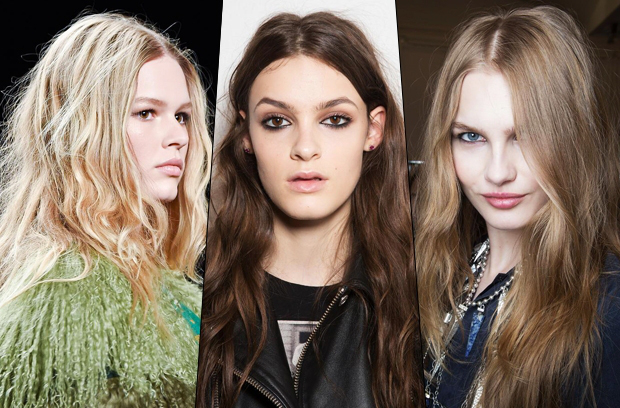 Loose Waves–Let your hair down freely and style it into loose waves. The style looks still fabulously even it is a little messy. Messy Middle Part–It is a casual, undone hair look, and it looks pretty with the loose waves. To get the style, simple part your hair with your fingers. 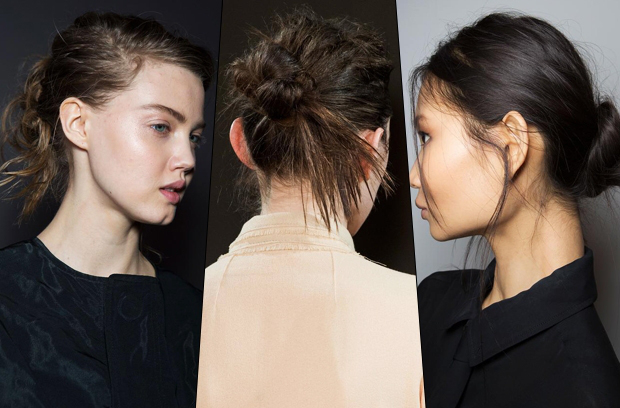 Messy Buns—A casual but still stunning hair look. It is a texturizing required hairstyle.